Awaken the blogger in you with Writer Theme. A descent theme well suited for writers, authors, and personal as well as corporate bloggers. If you love minimal design that looks clean, elegant and uncluttered, Writer theme is just right for you. 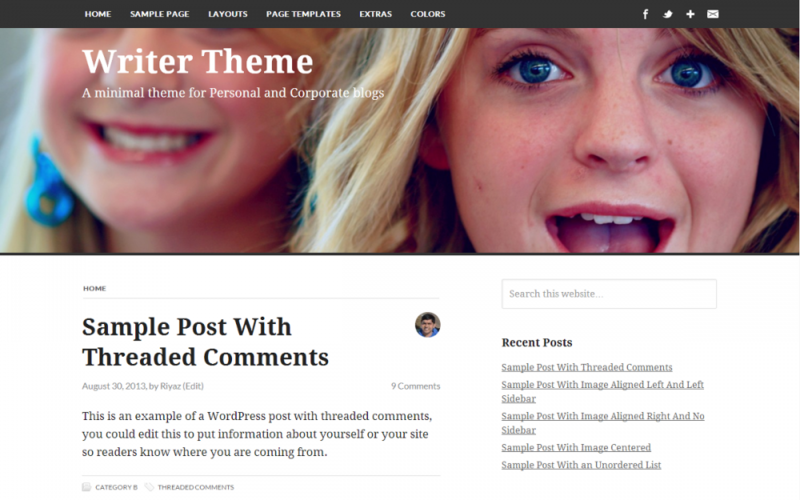 Provide a pleasing and distraction-free reading experience to your blog readers with Writer Theme.